India’s commitment to foreign investment was further fortified in the annual finance budget of the Government of India. The slew of announcements made by the Finance Minister, Mr. Arun Jaitley in the Lower House of the Parliament of India is expected to be instrumental in making India a favourable destination for FDI. This should be good news for most foreign investors looking for opportunities in the developing countries and they can certainly consider India as a preferred choice. Foreign investment will be allowed in the insurance and pension sectors in the automatic route up to 49% subject to the extant guidelines on Indian management and control to be verified by the respective regulators of these sectors. 100% FDI will be allowed in marketing of food products produced and manufactured in India through approval process of the Foreign Investment Promotion Board (through FIPB route). 100% FDI in Asset Reconstruction Companies (ARCs) will be permitted through automatic route. Foreign Portfolio Investors (FPIs) will be allowed up to 100% of each tranche in securities receipts issued by ARCs subject to individual sectoral caps prescribed under the FDI Policy of India. Investment limit for foreign entities in Indian stock exchanges will be enhanced from 5 to 15% on par with domestic institutions. This will enhance global competitiveness of Indian stock exchanges and accelerate adoption of best-in-class technology and global market practices. The existing 24% limit for investment by FPIs in central public sector enterprises, other than banks, listed in stock exchanges, will be increased to 49% to obviate the need for prior approval of Government for increasing the FPI investment. The basket of eligible FDI instruments will be expanded to include hybrid instruments subject to certain conditions. Investment basket of foreign portfolio investors will be expanded to include unlisted debt securities and pass through securities issued by securitisation SPVs. FDI will be allowed beyond the 18 specified NBFC activities in the automatic route in other activities which are regulated by financial sector regulators. With a view to promote the ‘Make in India’ initiative of the Government of India and following the practices in advanced countries, foreign investors will be accorded ‘Residency Status’ subject to certain conditions. Currently, these investors are granted business visa only up to 5 years at a time. In order to ensure effective implementation of Bilateral Investment Treaties signed by India with other countries, it is proposed to introduce a Centre State Investment Agreement. This will ensure fulfilment of the obligations of the State Governments under these Treaties. States which opt to sign these Agreements will be seen as more attractive destinations by foreign investors. It is proposed to amend the applicable provisions of the (Indian) Income Tax Act so as to provide that Minimum Alternate Tax (MAT) shall not be applicable to a foreign company, with effect from April 1, 2001 if the foreign company does not have as a permanent establishment under relevant Double Taxation Avoidance Agreement (DTAA) or a place of business in India. The new manufacturing companies which are incorporated on or after March 1, 2016 are proposed to be given an option to be taxed at 25% + surcharge and cess, provided they do not claim profit linked or investment linked deductions and do not avail of investment allowance and accelerated depreciation. The companies located in international financial services centre shall not be liable to dividend distribution tax. The transaction in foreign currency of sale of equity share or units of equity oriented funds or units of a business trust taking place on a recognised stock exchange established in international financial services centre shall not be liable to securities transaction tax. It is also proposed that the gains arising from transfer of such long term capital asset shall be exempt from tax. The transaction in foreign currency of sale of commodity derivatives taking place on a recognised association established in international financial services centre shall not be liable to commodity transaction tax. Research is the driver of innovation and innovation provides a thrust to economic growth. It is proposed to introduce a special patent regime with 10% rate of tax on income from worldwide exploitation of patents developed and registered in India. The Finance Minister mentioned in his budget that all the above decisions will facilitate ease of doing business for foreign investors and their domestic recipients. 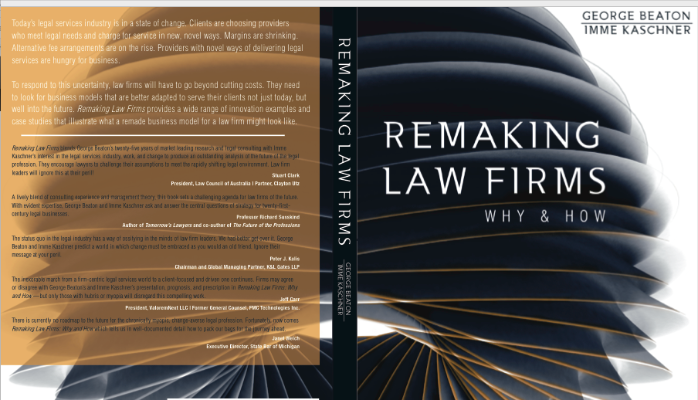 Webinar: Can you use NewLaw methods to boost your Law Firm revenue?